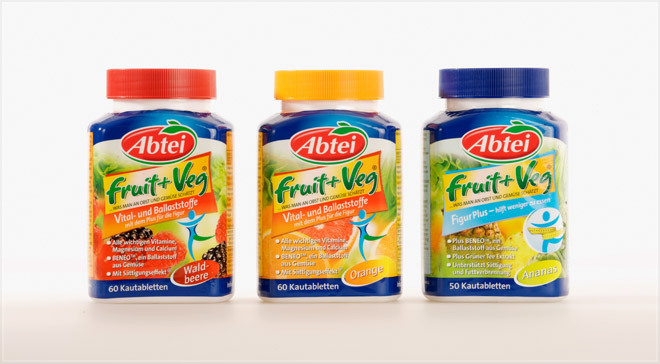 For FRUIT+VEG®, khdesign designed a completely new Abtei product: a chewing tablet containing both vitamins and fibre. More than one hundred products were first analysed and then grouped into different areas. Colour coding was then developed to provide orientation and help customers find exactly the right product. The whole range was optimised in terms of emotionality and readability. 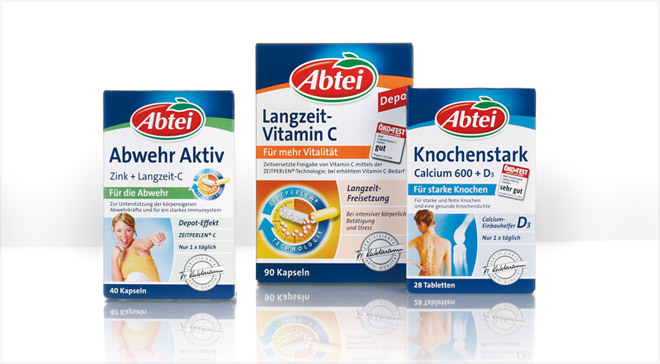 The resulting concept radiates health and vitality, the strong colours allowing it to stand out in OTC without losing the Abtei brand identity.